Lock in a great price for Courtyard Harrisonburg – rated 8.8 by recent guests! The staff were so pleasant and awesome. The location was great to JMU (could have walked) & to an awesome breakfast spot (Mr. J’s bagel and deli)! So perfect. Would def stay here again for sure. The first room I was put in had dirty sheets on the bed and looked like it had been slep in and not fully made. At least the lady at the desk apologized and moved me to another room. The breakfast I bought the next Morning fabulous. My mother ran a hotel and kept it spotless clean you would not been up to her standards of clean however. I really enjoyed how they greeted both my mother and I with smiles and comfort. I also really enjoyed that they called us soon after we got settled in our room to check and see if everything was great with the room. We thought the rooms were spacious and not too noisy. Location was optimum. Many stores and restaurants nearby. Very close to the highway so we could jump back on the road. The staff was very accommodating and friendly. The location was perfect, right in the center of town, tons of restaurants, stores and attractions. The staff was kind and personable- the location was great! They were willing to give me a AAA discount even though that’s not customary when booking through a third party. Courtyard Harrisonburg This rating is a reflection of how the property compares to the industry standard when it comes to price, facilities and services available. It's based on a self-evaluation by the property. Use this rating to help choose your stay! This hotel is located in Harrisonburg at the junction of Highway 33 and Route 331. 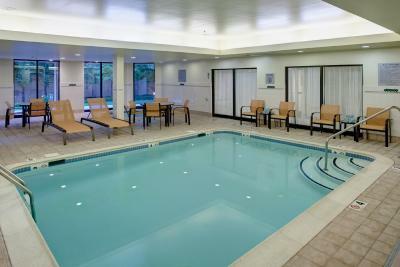 It has an indoor pool, and offers air-conditioned rooms with views of Shenandoah Valley. Rooms at the Courtyard Harrisonburg include a seating area and cable TV. Rooms come equipped with free Wi-Fi, a coffee maker and ironing facilities. In the morning guests can enjoy breakfast at the Courtyard Café. The hotel has vending machines, and offers a local restaurant dinner delivery service. Golf at Heritage Oaks is situated 5 miles from the Courtyard Harrisonburg. The Massanutten Ski Resort is 12 miles away. Free public parking is possible on site. This property also has one of the top-rated locations in Harrisonburg! Guests are happier about it compared to other properties in the area. This property is also rated for the best value in Harrisonburg! Guests are getting more for their money when compared to other properties in this city. When would you like to stay at Courtyard Harrisonburg? This double room has 1 extra large double bed and 1 sofa bed. This double room has 2 large double beds. 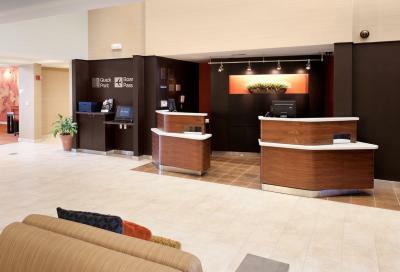 Whether you're traveling for business or pleasure, you'll love the smart design of our Courtyard Harrisonburg hotel. 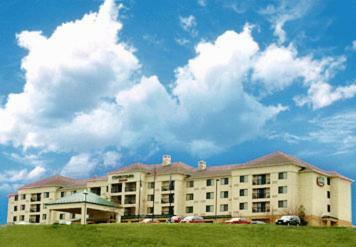 Our hotel in Harrisonburg, Virginia is blocks from James Madison University and nine miles from Massanutten Resort. House Rules Courtyard Harrisonburg takes special requests – add in the next step! Courtyard Harrisonburg accepts these cards and reserves the right to temporarily hold an amount prior to arrival. They oversold for our wknd apparently so we didn’t get 2 queen beds as reserved that we paid for in advance. Frustrating. Heater vibrated the room, and my wife was really bothered by the fabric softener smell. 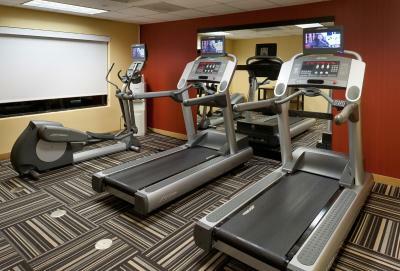 Great staff, good lay out, fine amenities. Difficult to adjust the temperature in the room. It was either too hot or too cold. My spouse thought the bed was hard. Hot water not available upon arrival. Restored within 2 hours. The bartender was very rude and very slow. The pool was closed . The atmosphere and the bed was super comfy. The Bar, featured drink was not as pictured. And, not good. Well, a free breakfast would've been nice but we weren't particularly hungry, just anxious to get back on the road. This hotel was described as scent restriced but there were multiple 'plug-ins' in the lobby area. The staff (other than Emmanuel) were afraid and largely unwilling to remove them and cited concern about the manager's reaction. We booked this hotel because it is supposedly safe for people w lung disease, but plug-ins are literally dangerous for folks like me.I was told that the degree of scent restriction is up to the individual manager's discretion. That makes this chain of hotels unsafe for me. The bathroom in my room needs to be and restored. The grout on the floors was so bad I had to cover it up with towels before I walked on it. The shower enclosure was so stained it looked like is had a permanent soap scum residue design.